With the advancement of technology day-by-day our lifestyle is becoming simple – for instance, wireless communication by means of which we can send or receive data from very far away distances to our hands with a mobile phone. Wireless data communication is defined as the transfer of data over a distance without using any enhanced electrical conductors or wires. The distance may be short or long depending on the requirements and accessibilities. 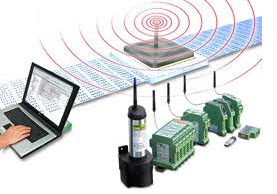 Wireless data communications include different technologies such as IR, RF, GSM, WI-FI, ZIGBEE, BLUETOOTH and RFID technologies. Let us go through all these different technologies. 1. IR Technology: It is a wireless communication that communicates data or information to devices through IR wireless communication mode, which is used to communicate short and medium range distances and security control areas. Infrared is also used in television remote controls and security systems. Infra red technology can be used in different applications such as emergency response systems, home security systems, night vision equipments, Infrared photography, toys and navigational systems. IR technology provides the following advantages like high security, low power requirements, license free usage, and so on. 2. 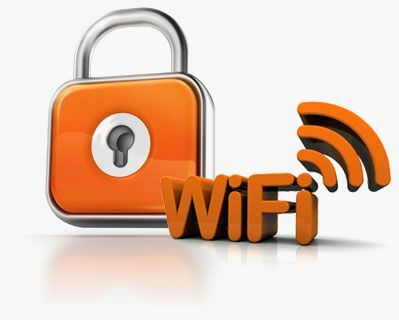 WI-FI Technology: Wireless fidelity refers to IEEE 802.11 communication standards for wireless LANs. This network connects computers, internet and wired networks as well. WI-FI works on physical systems and data layers. An electronic device can be connected to the internet wirelessly at frequencies of 2.4 GHz UHF and 5 GHz SHF radio waves. 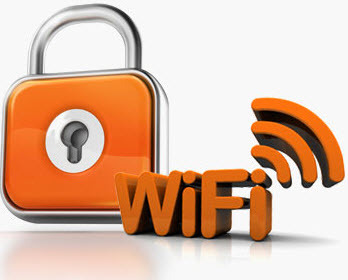 WI-FI’s main resolution is to hide complexity by enabling wireless access to applications, data, media and streams. This network can be applied in different areas such as home, health care, business and tours and travels sectors. Many devices use WI-FI such as personal computers, digital audio players and smart phones. 3. 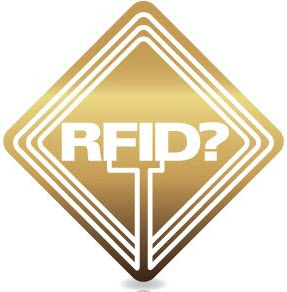 RFID Technology: RFID or Radio Frequency Identification System is a technology based identification system which helps in identifying objects just through the tags attached to them, without requiring any line of sight between the tags and the tag reader. 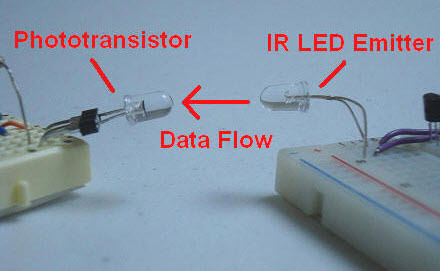 All that is needed is a radio communication between the tag and the reader. RFID can be used in variety of applications such as tracking of general public and animals, toll collection and contactless payments’ tracking, airport baggage tracking, logistics and access management tracking. 4. Zigbee Technology: Zigbee is a wireless technology designed to address the unique needs such as affordability and power conservation. It is easy to implement and needs little power to operate. Zigbee operates at the radio frequency of 2.4 GHz, which is used to deliver a reliable data and easy to use standards in the entire world. Zigbee is flexible in performance and is battery operated. Zigbee operates in industrial, scientific and medical radio bands which operate at the frequency of 868 MHz in Europe and 915 MHz in Australia and USA. 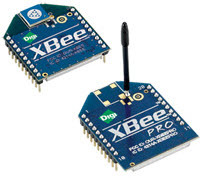 Zigbee protocols are anticipated for embedded applications that require low power and low cost. Zigbee can be used in different applications such as building automation, industrial control and medical data collection. 5. 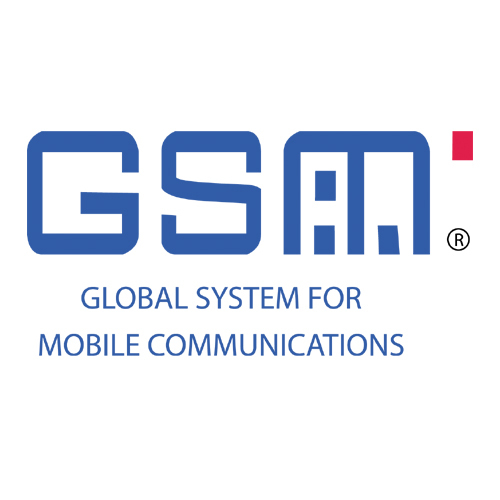 GSM Technology: GSM technology stands for Global System for Mobiles and its foundation can be credited to Bell Laboratories in 1970. It basically uses circuit switched system and divides each 200 KHz signal into 8 25 KHz time slots and operates in 900 MHz, 800 MHz and 1.8GHz bands, respectively. It uses a narrow band transmission technique – basically Time Division Access Multiplexing. The data transfer rates vary from 64kbps to 120kbps. GSM is the digital transmission technique widely adopted in Europe and supported in North America. In North America, GSM uses the 1900 MHz band. GSM uses 900 MHz and 1800 MHz bands, respectively in Europe. 6. 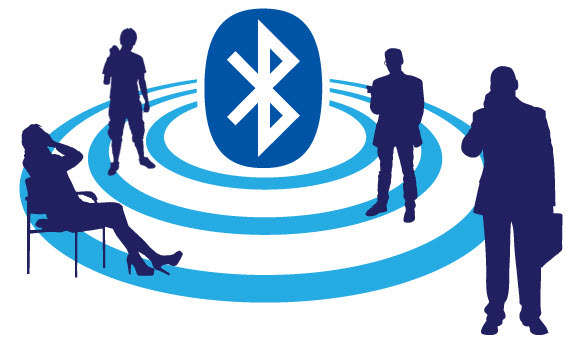 Bluetooth Technology: A Bluetooth technology is a high-speed, low-powered wireless technology link designed to connect phones or other portable equipments together. It is a specification (IEEE 802.15.1) for the use of low-power radio communications to link phones, computers and other network devices over short distance without wires. Wireless signals transmitted with Bluetooth cover short distances, typically up to 30 feet (10 meters). Bluetooth technology can be used in different applications that help transfer files, images and MP3 videos between mobile phones. Video gaming systems that use Bluetooth technology for their wireless controllers are the best option for gaming enthusiasts as Bluetooth is the best wireless data transmission technology for peripherals devices like mouse, keyboards, printers, etc. For a better understanding of this communication technology, the following practical example describes data transfer to a remote place using Zigbee wireless communication technology. Nowadays confidential data transfer is a crucial task in many multinational companies, military departments, intelligence and surveillance departments, and so on. In such departments and companies lots of efforts are put forth for securing confidential data. Therefore, they need Data encryption and decryption for their applications. An example, which is given below describes data encryption and decryption to secure data using Zigbee wireless communication technology for short distances. A popular way to protect data is to encrypt the data while sending and decrypt it while receiving to regain the original message. Before transmitting, the data is converted into unreadable format, and then the data is encrypted and decrypted in the receiver end to get the original message. Let us demonstrate the project in brief with the help of a block diagram given below. In a transmitter section, the data to be transferred to a remote location is entered using a keypad, and the data is sent to a microcontroller. The Microcontroller – after receiving the data, based on its program – transfers the data to a MAX232 wherein the TTL data is converted into a serial data. This serial encrypted data is then transmitted to the receiver section by a Zigbee module and further gets displayed on the LCD. 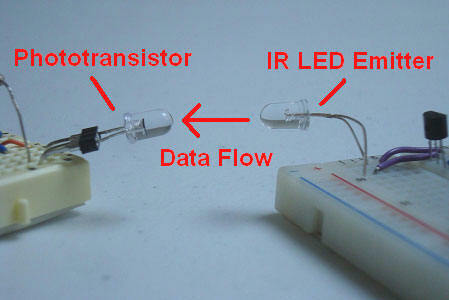 The Crystal circuit plays a key role in the microcontroller operation. This Crystal circuit generates clock pulses so that the internal operation gets synchronized .When the reset pin is high, the microcontroller returns to a power on state, by leaving the currently executing program. RESET operation is performed by holding the RST pin high for at least two machine cycles. At the receiver end, the Zigbee receiver module receives the data through air and the microcontroller decrypts the encrypted data. Finally the data is converted into the original data so that a user can read it and the decrypted data makes its way to the LCD display to get displayed there. Thus data can be protected at both the ends while transmitting and receiving. This is all about different Wireless data communication technologies and practical example of this topic for wireless data encryption and decryption. We believe that the information given in this article is helpful for you for a better understanding of this concept. Furthermore, any help for implementing this project or others, you can contact to us by commenting below. I am Dr.Karthikeyan working in defence engineering college ethiopia…i want to buy a project kit and the kit has to be shipped to ethiopia…will it be possible..
hi,my name is nitika and i want help in my project in security in communications. I am working in IT firm in Chennai. I want to explore more about Zigbee, Zwave, Bluetooth, Wifi data transmission. Are you conducting any training classes regarding this in Chennai or Bangalore? I sincerely appreciate your kind response regarding my article. sorry, we don’t have the video which you have requested.